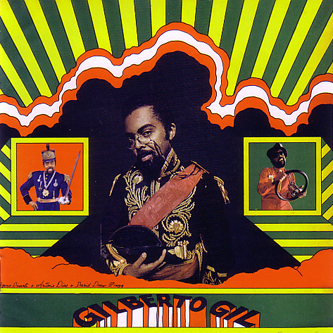 **New edition with four bonus tracks** Brazillian songwriting legend (and current Minister Of Culture in his homeland), Gilberto Gil is undoubtedly one of the best known artists of the tropicalia movement, but this collection, spanning 1968 and 1969 captures the artist at a tempestuous point in his career - 1969 was the year both he and his good friend Caetano Veloso were exiled from Brazil. Documenting that period, the albums Frevo Rasgado (with Os Mutantes) and Cerebro Electronico find Gil making ambitious, experimental pop music to rival the work of his peers in the UK and USA, throwing all manner of psychedelia into the mix of finely crafted ballads and fuzz-laden rockers. On a single disc, it's probably all a bit much to digest in one sitting, but excellent stuff, of course.